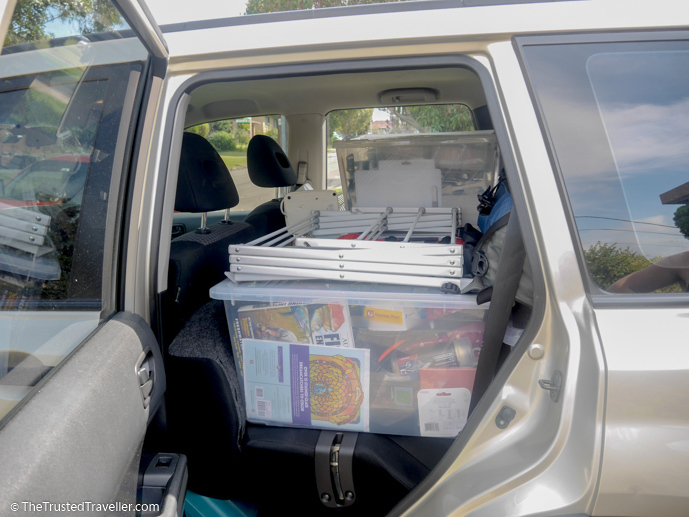 One of the toughest things we’ve had to do in this whole process of packing up our lives to drive around Australia was trying to fit everything we wanted into our car. 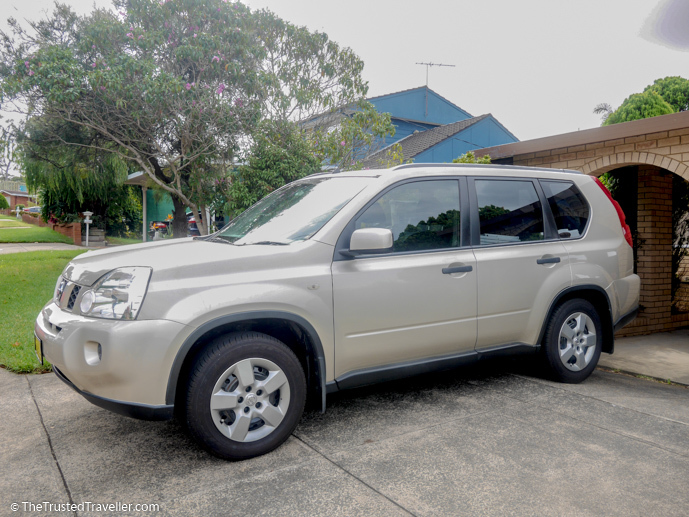 We bought a medium sized 4WD vehicle (Nissan X-Trail) that has seats that fold flat optimising our storage space. But it still just didn’t seem like enough room for everything. We considered getting a pod for the top of the car to store extra stuff, but that would have effected the cars fuel efficiency significantly and cost us nearly 50% more in fuel, a cost we just can’t afford or justify. So obviously we’ve had to cull a lot more than we originally had wanted. And to be totally realistic, we probably didn’t need as much stuff as we originally had. But aside from throwing and donating those extra few bits and pieces, we’ve also tried to find creative and space saving ways to pack more into the space that we have. 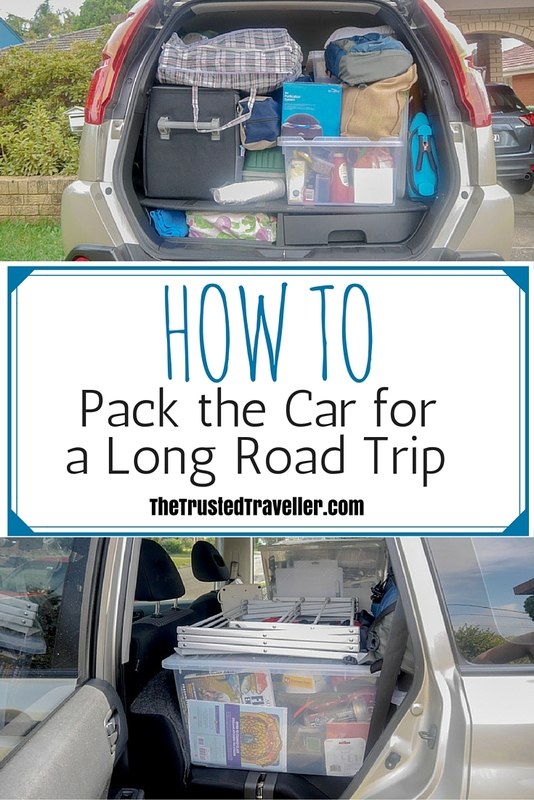 Today we are sharing some of the tips and tricks we’ve learnt during this process to help you pack your car for a long term road trip and make the most of the space you have. The thing you will probably have the most of is clothes so it is very important to ensure you pack them in the most space saving way possible. Enter the packing cube and the roll not fold method. 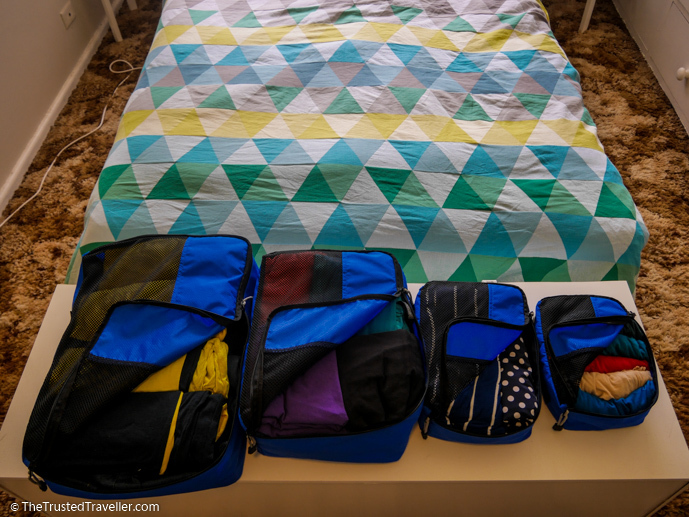 You all know we love packing cubes and we hope by now you do too. But if you haven’t already got yourself some then now is the time. They will keep each different type of clothing separate and make it easier for you to find exactly what you want right in the boot of your car. Take that one step further and when packing your clothes into those cubes you must roll them. Rolling is proven to take up less space than folding and if done right, will leave your clothes with less creases in them. 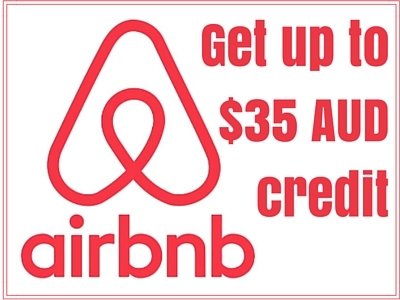 Because of the types of accommodation we’ll be staying in as we travel around Australia (mostly self-catering) we need to have linen on hand in case it’s not included at some of the places we stay in. Linen, such as doonas and pillows, take up an enormous amount of space just sitting in a pile in the back of your car. 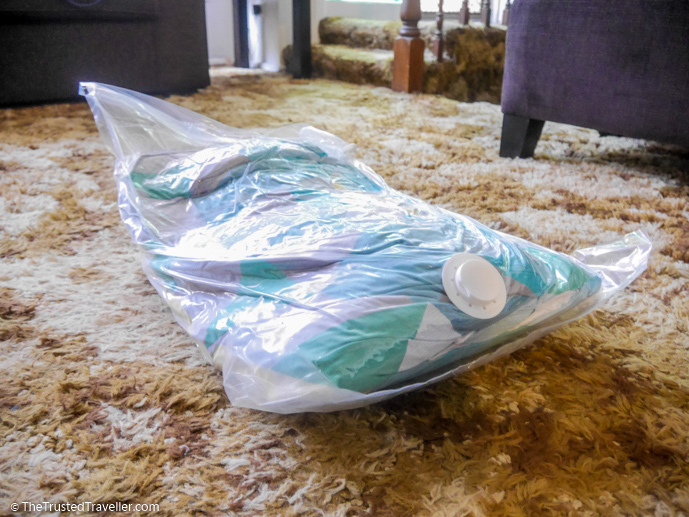 But if you buy a few handy space bags, you know the ones you roll to remove the air, you’ll be able to halve the amount of space they take up in your car. We are using the space bags for our sheets, doona and an extra winter blanket in case it gets super cold. And then we just have our pillows loose as we are using them each night for a bit of extra comfort and to avoid stiff necks from poor pillows. 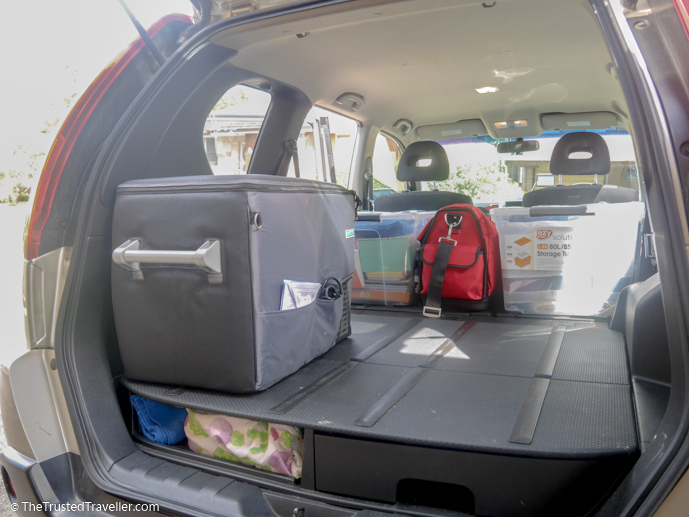 I’m not sure about your car, but ours has so many handy little nooks and crannys that are perfect for packing certain items to make them easily accessible or the opposite, tucking things away that won’t be used so often. Think under the drivers and passengers seats, in the pocket on the back of the seats, the glove compartment or smaller compartments in the centre console. 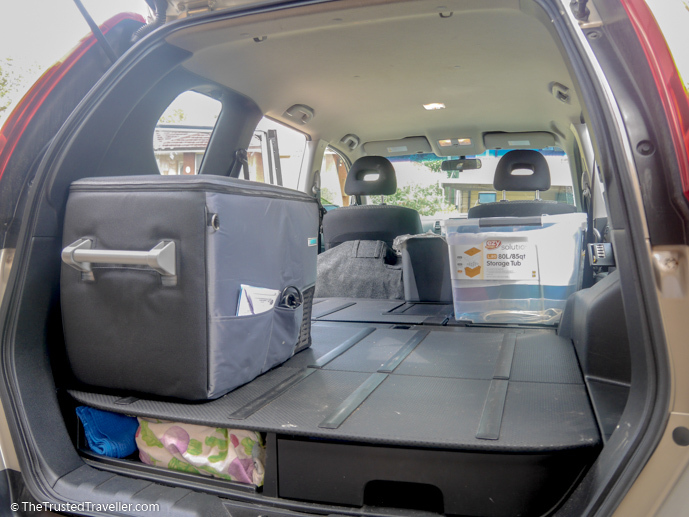 We’ve got a super handy pull out draw with matching open compartment at the back of the boot. In the draw we’ve got picnic items like plates, cups and cutlery for easy access when stopping for lunch and the open compartment has our towels and space plastic bags. Under the front seats we’ve put a few things that we won’t be needing all the time like Mick’s work boots (he won’t be using them for a few months) and spare oil and water for the car in case of an emergency. 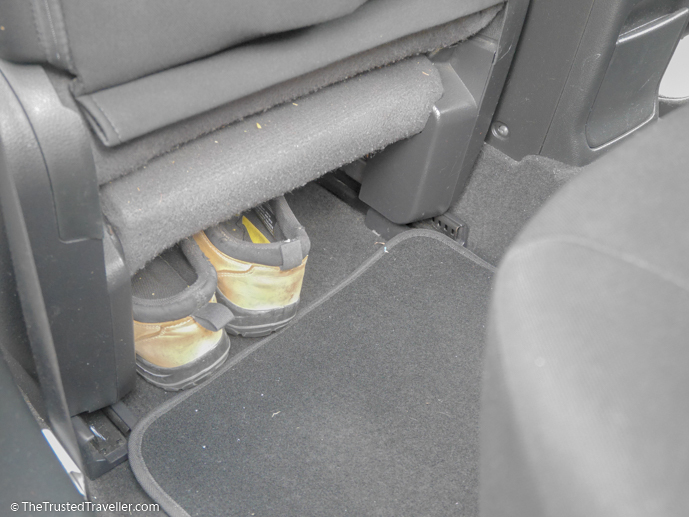 Take the time to think about what each nook and cranny in your car could be most useful for. 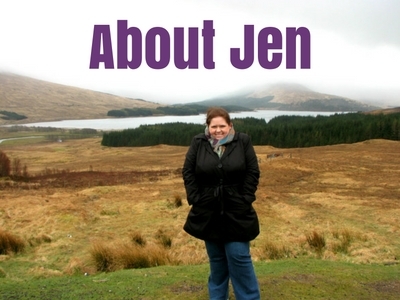 I guarantee you it will save you space and make the important things much easier to access. One of the best investments we made in our pre-trip spending was a good set of plastic storage tubs. For just over $100.00 we got ourselves three large, two medium and two small tubs that we have used for keeping everything organised. Large No.1 & 2 – Excess clothes/shoes – We’ve got seven days worth of clothes in a backpack which we take inside with us and the rest stay in these tubs. We’ll swap them out as needed with some only getting used at certain times of the year (i.e. winter coats, nice dresses etc.). Large No.3 – Bits & Pieces – We’ve used this tub for things that don’t fit into any of the other tub categories. Things like reading books, stationary, goggles for swimming, tennis rackets, playing cards and many more other bits and pieces we might need along the way. This tub will stay in the car and we’ll just grab things out as needed. Medium No.1 – Cooking Utensils – We’ve noticed on other trips we’ve taken in the past that some accommodation kitchens don’t have everything you need to cook a decent meal. So we’ve packed a few things we deem as essential to ensure we can cook what we want as we go. We’ve also got things like cling film, foil, ziplock bags and plastic containers in this box to help with saving leftovers and packed lunches. Medium No.2 – Excess Food – We are travelling with two food tubs and this one is for excess items. Things that we won’t be using on a day to day basis or we have copious amounts of will be stored in this tub and kept in the car most of the time. Small No.1 – Everyday Food – This tub will have all the everyday food items we’ll need like tea and coffee, cooking oil, a few sauces, pasta, rice, etc. Everything we’ve put in this tub we know we will use at least a few times each week, if not everyday. This tub will always come inside with us for convenience. Small No.2 – Excess Medicines/Toiletries – We’ll have our everyday toiletries and medicines with us in our “go bag” (more on that below) and leave all the excess or infrequent use items in this tub in the car. All the tubs we leave in the car are still only ever going to be right outside our door making it easy to get to what we want, when we want. This is probably the most important thing to have and will keep you sane. What we’ve called our “go bag” is a backpack that is full of seven days worth of clothes, shoes and toiletries only. 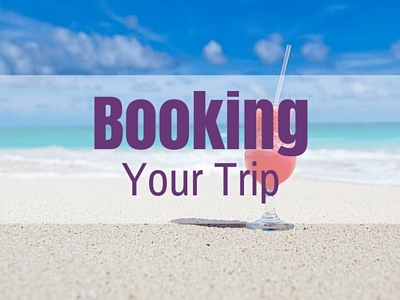 Having this saves us from having to pack and unpack all the time, something we hate doing. Once you’ve used the seven days worth of clothes they get washed and packed back in the car in the excess tubs and a new seven days is packed in the “go bag” ready for use. And the reason we have chosen to go with seven days is because most of our stays in the first part of the trip are for a week, meaning that each time we change locations, we change to a new set of clothes. In the backpack we’ve also used a large packing cube each to keep everything nice and neat. We’ve got only the shoes that we’ll need for that seven days and just enough toiletries to get us through too. Our final tip is really a simple one, pack smart. And what we mean by this is that you should really have a good think and lay everything out before you put it in the car. 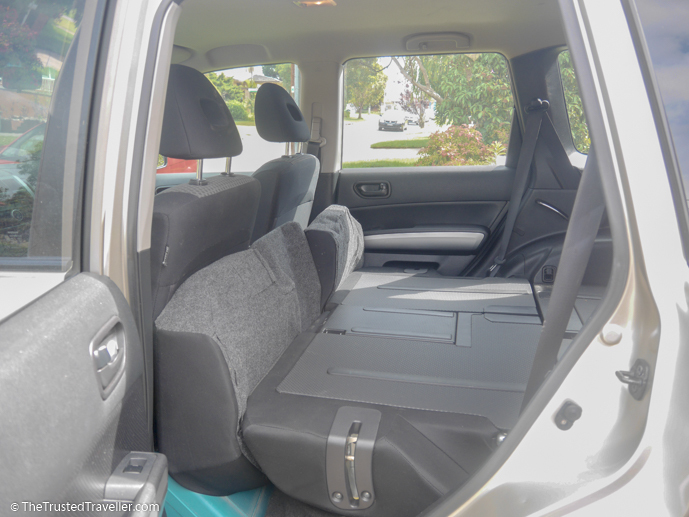 Think about what you’ll be using the most and make sure it is easily accessible from either the rear of the car, a side door or simply having it on hand in the front. We’ll be posting photos from our adventure on Instagram and Facebook daily so make sure you’re following us to keep up to date with where we are and what we’ve been up to. Do you have any tips to add to this? 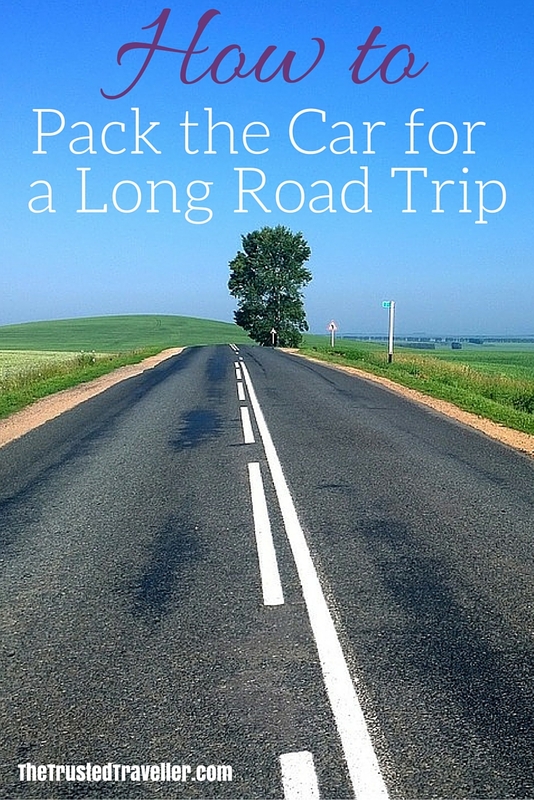 Have you packed your car for a long road trip before? What did you learn from the experience? 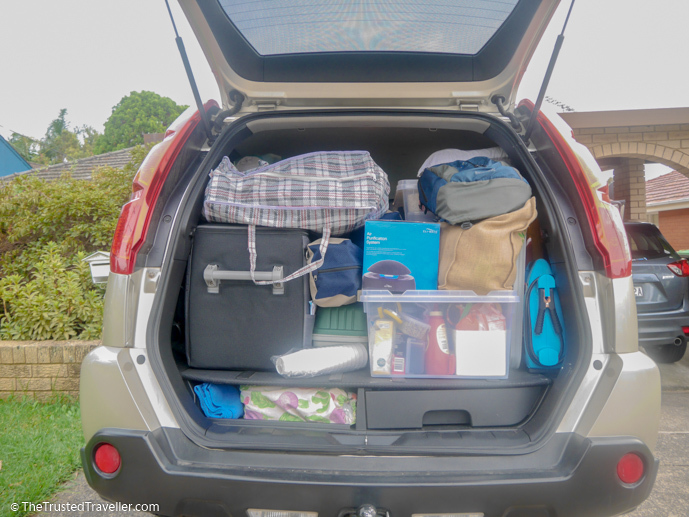 Great post….packing is always a challenge but I think the trick is that once you are happy with how everything fits in try and do it the exact same way next time. We pack our camper trailer in the same way every time. Great tips. In our recent outback road trip we put a lot of stuff in dry bags to stop it from getting dusty. Thanks Karen. That’s a great idea. We are now discovering that dust gets everywhere! Great tips! I LOVE to keep things organized when going on roadtrips and stuffing everything into a couple of bags makes me cringe. I hate to open everything to look for one tiny item. The tubs are a great idea! Thanks Jade. Being organised is key to packing I believe.